For the final instalment of Living Her Best Life we’re shaking things up and dedicating this boujie on a budget guide to the one and only Harry Styles. The former boyband wonder and successful solo singer has shown a continued interest in the fashion industry. With a last name like Styles he was always destined for fashion greatness. Later this year Harry will make his first appearance at the Met Gala, however being the overachiever he is, simply walking the red carpet would not be enough. In May Harry Styles will join the likes of Lady Gaga, Serena Williams and Gucci’s Alessandro Michele as co-host of the event. This year’s Met Gala theme is Camp: Notes on Fashion, which is very fitting for Harry. The 25 year-old made headlines (literally, made headlines) throughout his world tour Harry Styles: Live on Tour for his wardrobe of custom suits. We obsessed over his head-to-toe floral prints and quirky colours, although the accompanying designer price tag is less appealing. Generally, a custom Gucci suit could cost anywhere north of €2000. 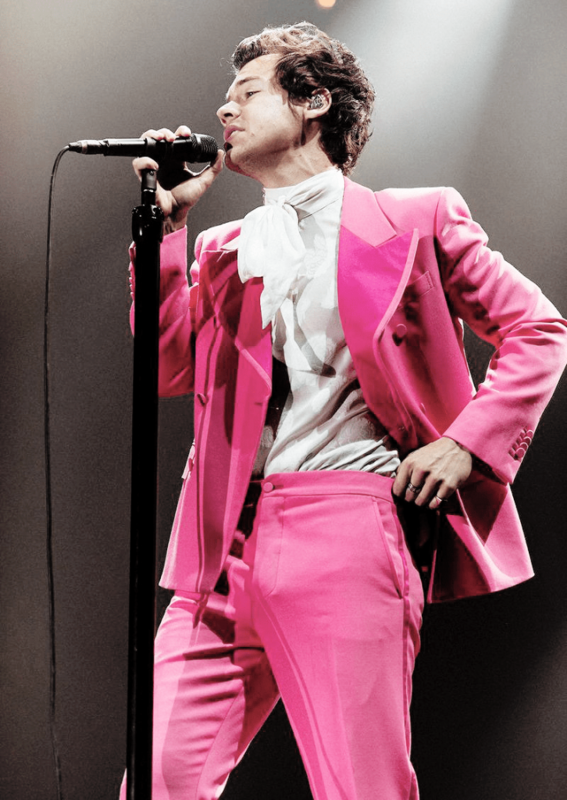 Harry sported this Barbie pink showstopper for the Italian leg of his tour. But fear not, you don’t need to splurge to be as stylish as Styles. Thankfully, the high-street has a much more affordable option. Zara is coming through with a pretty pink two-piece suit. It is sold separately from XS to XL, so you can find the perfect pieces to suit your shape. The suit trousers cost €59.95, whereas the blazer is a tad more expensive at €89.95. To dress the look down add a simple T-shirt underneath. 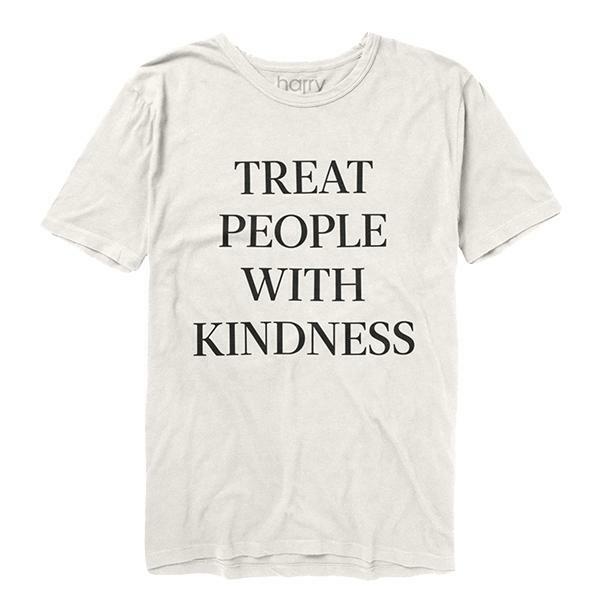 Penneys often do great basics for only €3, or for a true Harry Styles look buy his ‘Treat People With Kindness’ tee (€34.95, available in yellow or white from hstyles.co.uk/collections/tshirts). 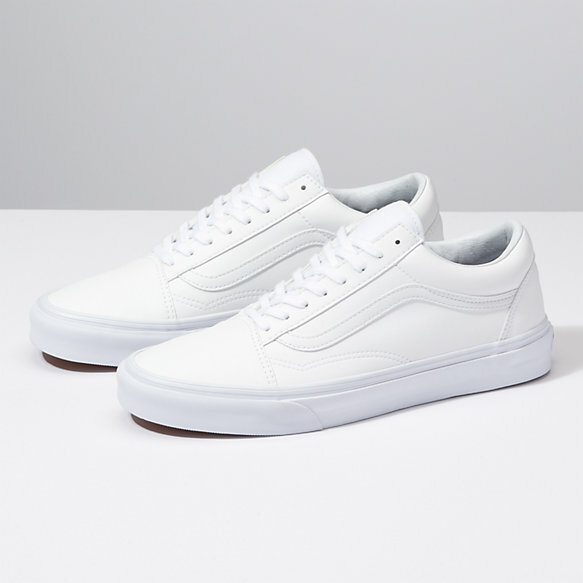 Accessories-wise, Harry regularly wears Old Skool Vans (€75 from Vans). Money saving tip: Try the kids’ section for cheaper trainers. 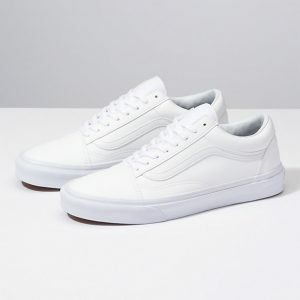 Retailers often stock up to a size 6 in kids’ at much lower in price. If you’re looking for more Harry Styles outfit inspiration, there’s an entire Twitter account dedicated to ‘What Harry Wore’ with 38.2k followers (@harryworewhat). Now that you look the part, it’s time to walk the walk. Basically, an ideal night for the pop rocker is Boojum and Netflix – very manageable on a college budget! Harry loves rom-coms, pretty much anything by Nicholas Sparks (which he nicknamed Nicky Spee). His favourite foods are tacos and, surprisingly, sweetcorn. Other Harry-inspired activities include listening to Kacey Musgraves, who opened for him on tour, or getting a tattoo. Granted it’s a pretty big step up from listening to ‘High Horse’, but definitely something the singer does on the regular. To honour Harry’s previous job working at a bakery, enjoy an afternoon sipping tea and munching on scones at Cupán Tae on Quay Lane. 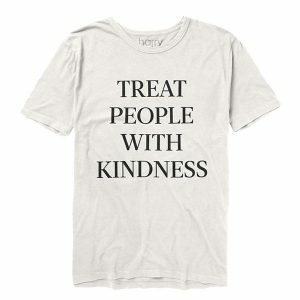 My final word of advice; follow Harry’s mantra of ‘Treat People With Kindness’. Carry out an act of kindness throughout your day. Whether it’s opening the door for someone on campus or getting a friend a coffee, small gestures lead to big smiles.